The Elder Scrolls Online proudly presents Summerset, its brand-new chapter! May 21 is the release date for PC and Mac and on June 5 it will become available for Xbox One and PlayStation®4! Queen Ayrenn has declared that the home of High Elves is now open to foreigners! Travel to Summerset, meet old but not forgotten friends and discover the conspiracy which threatens to consume all of Tamriel! A whole new zone is waiting for you to explore! Embark on a journey of epic proportions and continue the story that begun with the ESO base game and its expansion Clockwork City! For the first time ever in a Elder Scrolls game, you can join the ranks of the Psijic Order, learn their combat Skill Line which will teach you to yield powers over time itself and explore their ancestral home, the island of Artaeum! Additionally, you can master a new Crafting Skill Line, face the perils of Cloudrest, the brand-new 12-man Trial, discover new PVE challenges like the Abyssal Geysers and much more! Watch the announcement trailer below and get a small peek of what lies ahead! Pre-purchase now and get the Queen’s Bounty Pack, immediate access to the Nightmare Senche Mount and a bonus copy of the Morrowind Chapter (digital pre-purchases only)! What is more, you can play the Summerset Prologue Quest today and begin your journey to the home of High Elves while trying to help Vanus Galerion to check a report of a mysterious prophecy; go to the Crown Store, get a Mage’s Message Stone for free and use it to receive an urgent message from Vanus and acquire the quest called “Through a Veil Darkly”. Vanus can also be found inside the Mages Guildhalls in any of Tamriel’s Alliance capitals. Finish the quest, receive the Wyrd Elemental Plume memento as a reward and get ready for the official launch! 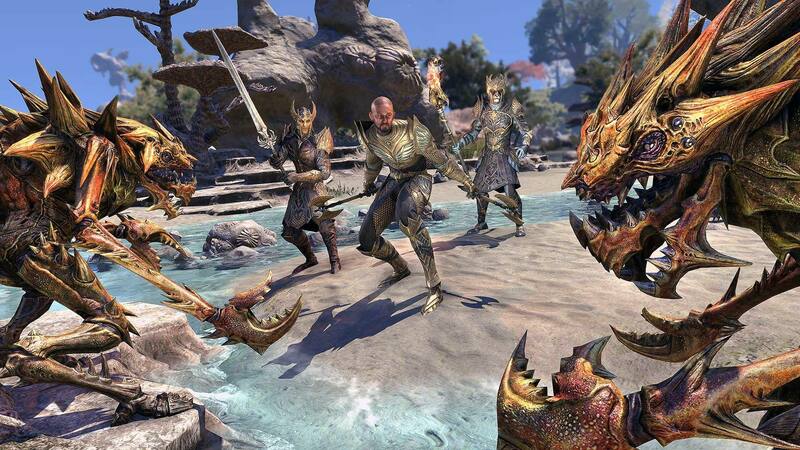 The Elder Scrolls Online: Enter the #10MillionStories Sweepstakes for a chance at epic prizes!